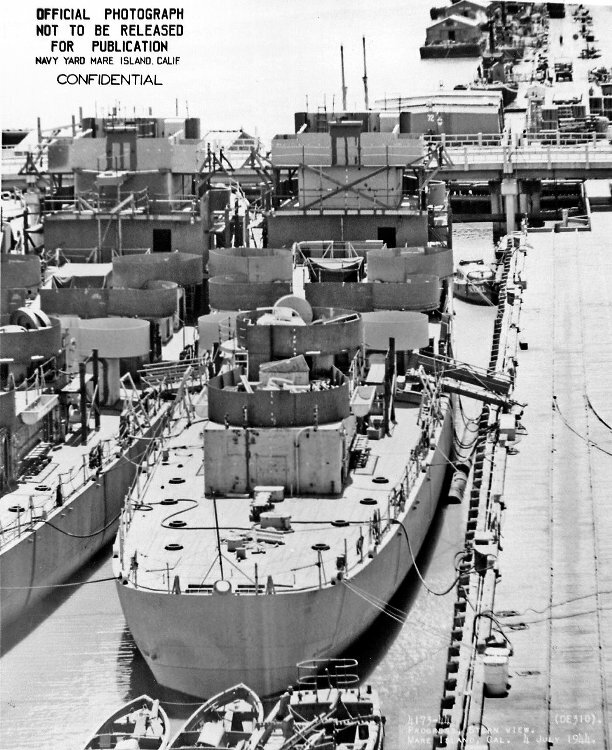 2 August 1943: Keel laid by the Mare Island Navy Yard, Vallejo, Cal. 79k 11 April 1944: Mrs. Anna Halsey (Sponsor) holds the christening bottle prior to the launching of USS Delbert W. Halsey (DE 310) at Mare Island. Mrs. Robert Bathiant (Matron of Honor) sister of Delbert W. Halsey is seen to the right. 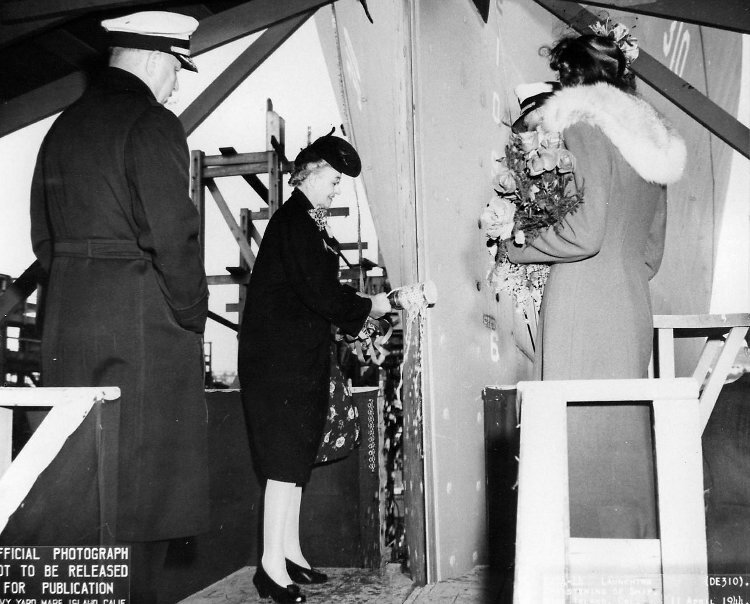 90k 11 April 1944: Mrs. Anna Halsey (Sponsor) christens the USS Delbert W. Halsey. 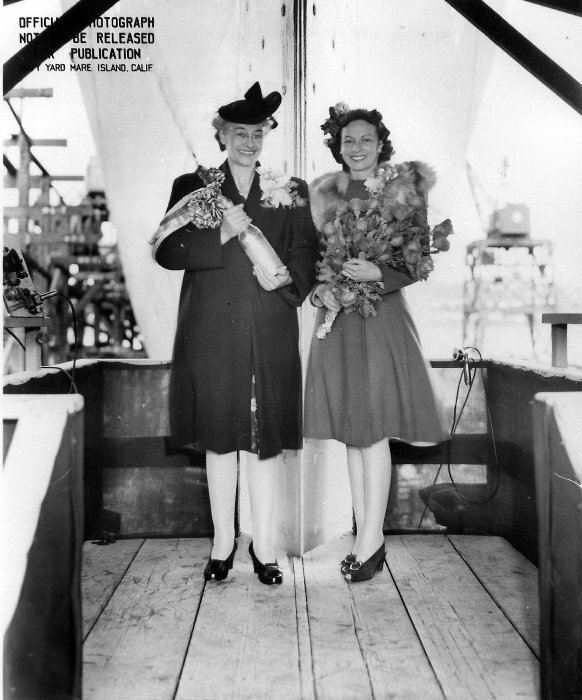 Left to right: Radm M. S. Tisdale (Shipyard Commandant, Mrs. Anna Halsey (Sponsor) and Mrs. Robert Bathiant (Matron of Honor). 105k 03 July 1944: Bow view of Delbert W. Halsey. USS Ely (DE 309) is outboard of Halsey. 136k 03 July 1944: Stern view of Delbert W. Halsey. USS Ely (DE 309) is outboard of Halsey. 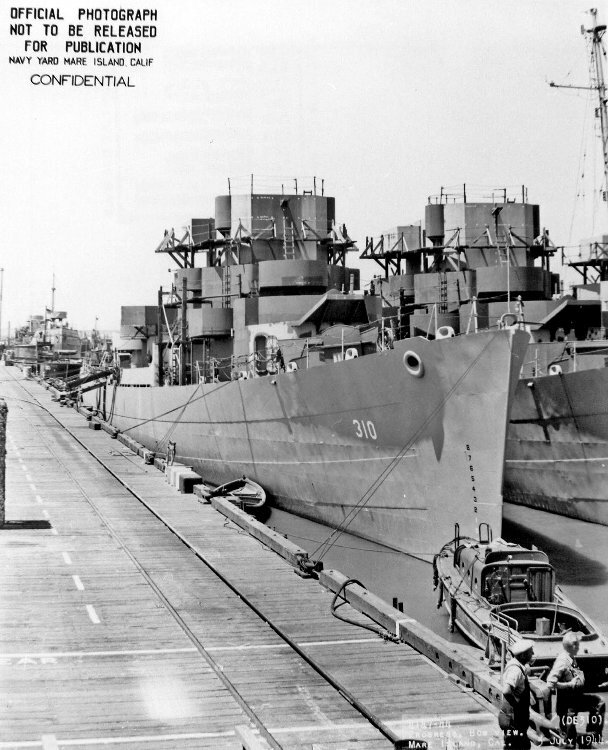 View the USS Delbert W. Halsey (DE 310) DANFS history entry located on the Naval History and Heritage Command web site.